What is the most important function of an anesthesiologist? Is it the ability to start an IV? How about the capacity to push a syringe of propofol? I would guess that to most people, including most doctors and nurses, an anesthesiologist is the physician who is the professional who is most proficient at intubating a patient. So is an anesthesiologist really an anesthesiologist if they are not capable of this simple but vital task? At our surgery center, we mostly perform cases under MAC. They usually involve endoscopies or simple nips and tucks that do not require general anesthesia or intubating patients. Anesthesiologists may not intubate a patient for months at a time. As a consequence, some of the veteran anesthesiologists here have intubating skills that are best described as rusty. 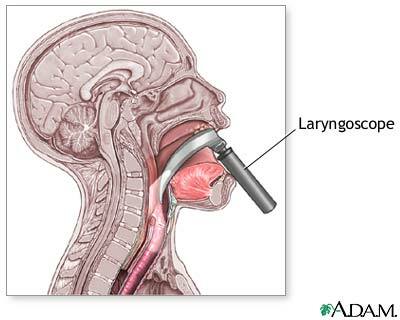 They actually find it easier to use a fiberoptic scope to place an endotracheal tube than to use a regular laryngoscope. Now don't get me wrong. Their preop skills are superb. They've had years of experience dealing with severe medical issues like morbid obesity, critical aortic stenosis, or severe coronary artery disease and how that might affect their anesthesia. But if during the course of the procedure the patient suddenly requires an emergent intubation these anesthesiologists are stumped. I've personally had to rush into the room to assist a colleague when they've lost the airway. Usually the laryngeal view is a Grade 1 or 2. In other words, an easy intubation for any anesthesia resident. They thank me profusely and I tell them it's no big deal. Does that make them any less an anesthesiologist? Does the physical skill of intubation trump the analytical skill of evaluating and minimizing a patient's anesthesia risks? Should all anesthesiologists have to demonstrate the capability to intubate a patient safely while under duress every couple of years as part of their CME? Would you want a doctor like this to administer your anesthesia? I think it's an important part of our job and should be a skill that's maintained. Being able to place an epidural for labor pain? Not so much, but not being able to handle an airway because you can't intubate? I wouldn't want someone that "rusty" taking care of me or my family. "Would you want a doctor like this to administer your anesthesia? " you obviously think you're so much better than your mentors... which makes you less than an anesthesiologist, and much less of a doctor.